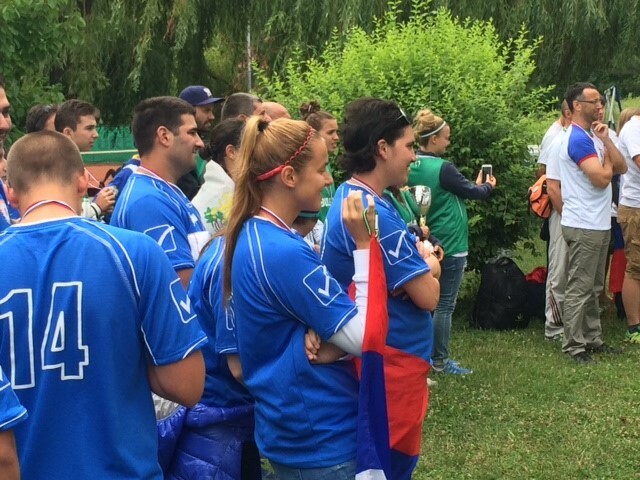 Serbia hosted another regional softball event during the last weekend of June. This time, four countries competed for the title of Balkan Slowpitch Champion: Serbia, Slovenia, Bulgaria and Croatia. It was the fourth Balkan Slowpitch Championship already. Slovenia deserved the title without any doubts, winning 16:0 over Bulgaria in the final game. ESF supports the idea of regional championships, therefore ESF provided two certified umpires to this event, to increase the level of the tournament: James O'Farell (IRL) and Tomo Zezlina (SLO). Serbian SPORT network was present at the event. You can review a video from the event. Two representatives of the ESF attended at the Championship, 1st Vice President, Gabriel Waage who answered a few questions for the SPORT network and met with a Serbian Minister of sports. Ami Baran, ESF Secretary General, used the time for discussing development with representatives of the present countries.